Let me start by saying that I live with an English Bulldog. He’s been in my life for nearly seven years, so I know just how cute — and loud — Mini Bulldog puppies can be. The snoring, the grunting, the panting — it gets annoying sometimes, but I love that chunky meatball to death. The only thing better than a standard size bulldog is a mini one. Yes, there’s such a thing as a Miniature English Bulldog. Are you in heaven yet? I know you’re fantasizing about teaching your dog how to ride a skateboard, so read on to learn more about this breed! How Did They Make The English Bulldog So Small? 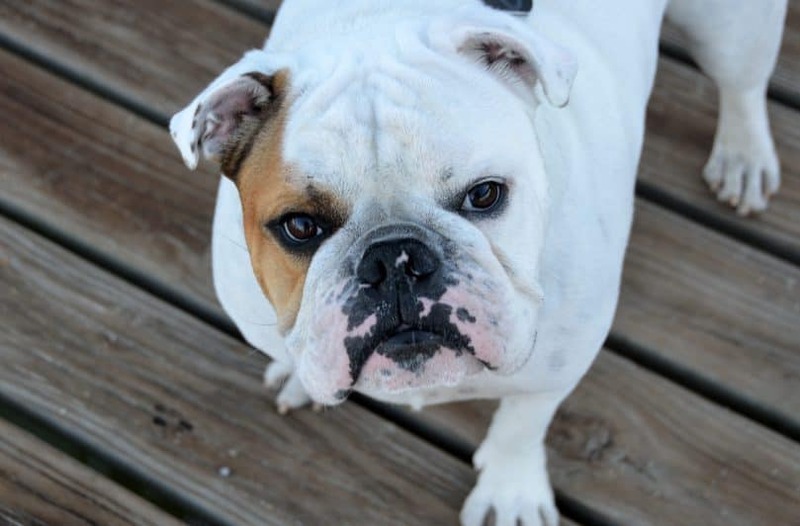 Is The Mini English Bulldog Right For You? I bet you’re imagining a Chihuahua-sized Bulldog right about now, a dog that you can carry in your purse at all times. Well, mini doesn’t always mean tiny — especially when it comes to the English Bulldog. A full-grown Mini English Bulldog still weighs between 25 – 40 pounds (11 – 18 kg). Carrying them around all day would be a serious workout. Males reach up to 14 inches (35.5 cm) at the shoulder, females at 13 inches (33 cm). 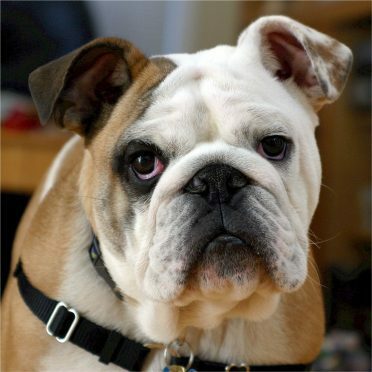 This breed looks like your standard English Bulldog, with a deep chest, rounded ribs, broad shoulders, and short snout. The only notable physical difference is size. The average English Bulldog height is 16 inches (40 cm) maximum and a weight of 55 pounds (25 kg) maximum. A Toy Bulldog’s coat can come in fawn, white, brindle, or spotted with two or more colors. With today’s advanced science, you can combine almost any dog genes. It’s impressive but highly controversial. Back in the 1980s, breeders crossed a Pug and an English Bulldog to create this designer dog mix. They wanted to design (literally) a healthier English Bulldog…but were they successful? I can tell you right now from my experience that this parent breed comes with a lot of health issues. Both the Pug and English Bulldog have ancient histories with royal families. Pugs were favored by the Chinese, specifically the Shang dynasty, who ruled from 1600 to 1046 BC. English Bulldogs were praised by… the English! What a surprise! Queen Victoria and King William III each had their own pack. A common mistake people make when shopping for a Bulldog is confusing an American one for an English one — or even a French one! 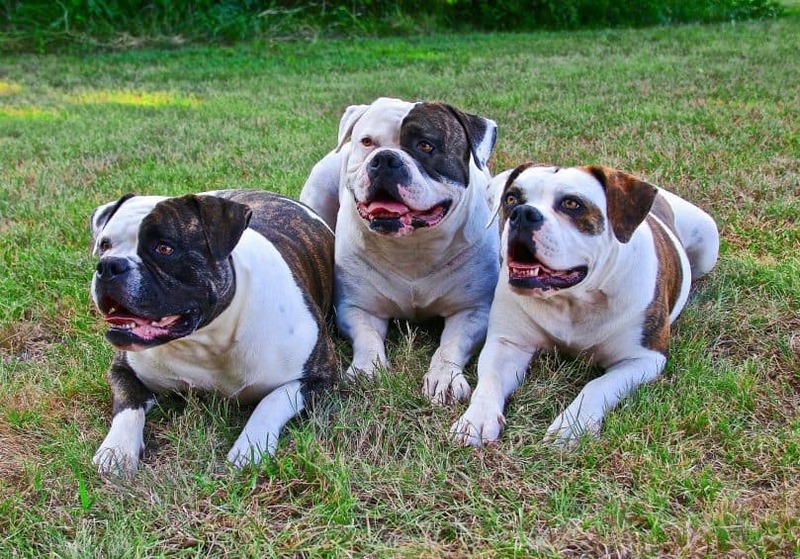 The American Bulldog resembles the Pitbull Terrier in many ways. 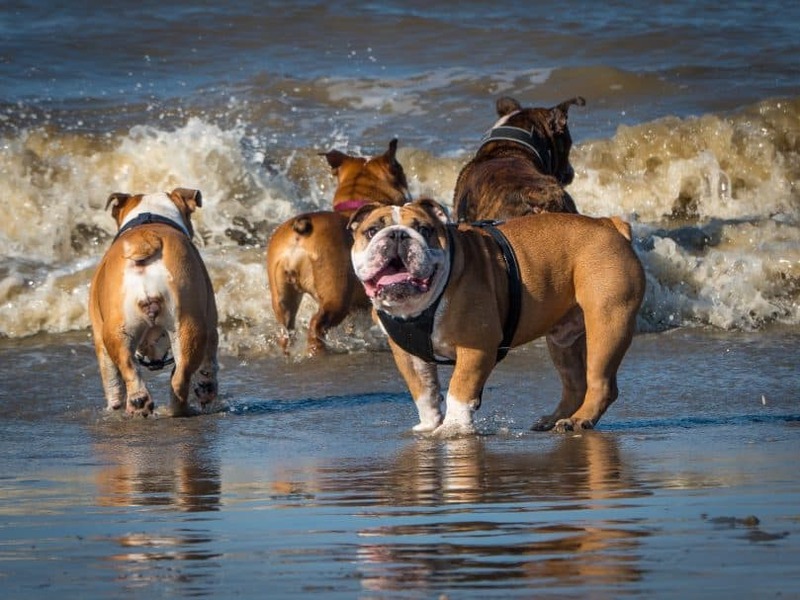 They’re active and agile, unlike the Mini English Bulldog who would rather sleep all day. Out of all the Bulldog breeds, the American is the largest at a maximum of 130 pounds (59 kg) and a height of 28 inches (71 cm). The smallest Bulldog is the Frenchie. Let’s be honest, the Miniature English Bulldog is not the most practical dog. They can’t walk or run long distances, they can’t hunt, they can’t do police work, they can’t herd, or swim, or pull heavy objects — the list goes on. The Teacup Bulldog was primarily bred to be an excellent companion. It will sit with you on the couch all day long as you’re binge-watching TV and eating Cheetos. As I mentioned briefly before, the Pug and the English Bulldog are both prone to many health issues thanks to their snout and wrinkles. The most obvious issue for Pugs and English Bulldogs is respiratory. That’s why they’re always panting and snoring. 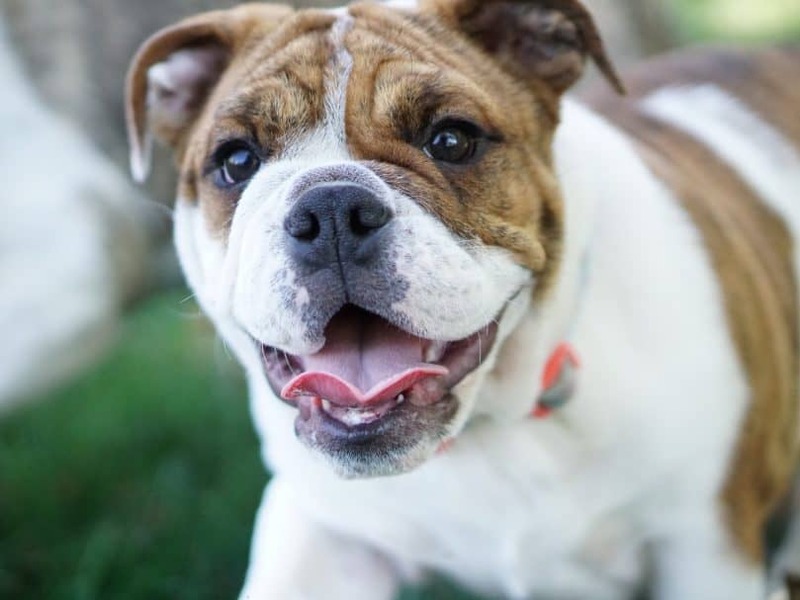 English Bulldogs are prone to overheating (so keep your dog indoors in the summer), cherry eye (eyelid issue), hip dysplasia, and joint injuries. Pugs have very similar health concerns. But because they’re smaller, they can experience tracheal collapse, luxating patella (kneecap issue), and nostril collapse. With that, we can deduce that a Toy Bulldog could experience one or all of those concerns. Be prepared to spend a lot of money on vet visits, especially in their old age. The good news is that a healthy Mini Bulldog can live up to 12 years! That’s a long time for a dog with breathing problems. You will never be lonely with this breed by your side. The temperament of an English Bulldog is docile, friendly, and willful. The personality of a Pug is also docile, clever, charming, and social. They do carry a stubborn side, too. Combining these traits makes for a very outgoing and sweet Mini English Bulldog. They are dog-friendly, cat-friendly (because they’re too lazy to chase anything), and kid-friendly. Overall, the Toy Bulldog is a great family pet. When it comes to noise, the Bull-Pug has two levels. They hardly ever bark…but they snore like crazy! Consider sleeping with your dog in the other room. This breed sheds moderately and is not hypoallergenic. Not the best choice for people with allergies or who don’t like sweeping. The Mini Bulldog can adapt to any size home, from a small apartment to an echoing mansion. 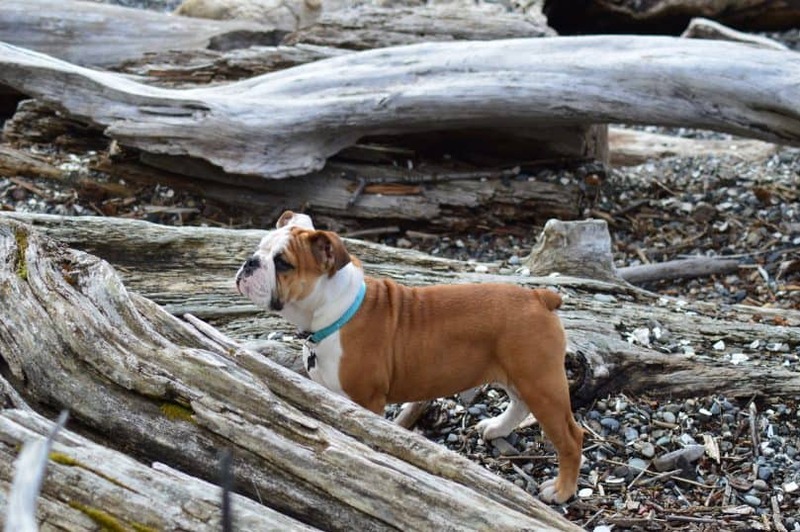 Miniature English Bulldog vs. English Bulldog — which breed is stronger? Watch the video below to see who wins the toy fight! Because the Mini English Bulldog sheds on a regular basis, you’ll need to give it weekly brushings to get rid of excess fur. The face and body wrinkles on this dog’s body make it more susceptible to skin allergies and infections so you’ll need to do routine checks. Not the most low-maintenance breed. You can tell just by looking at the Toy Bulldog that it wasn’t made for speed or endurance. It would much rather sleep all day than run. In fact, you’ll only need to spend 30 minutes each day taking this dog outside to do its business. Puppies are more active than adults, but Teacup Bulldogs of all ages are happy with a short walk twice a day. This chunky dog eats more than your typical small breed. Puppies need 3-4 cups each day. As adults, Mini English Bulldogs should not be overfed as they’re prone to obesity. And the lack of exercise only makes things worse. Some dogs are simply easier to house train than others. Pugs are included in the list of top-10 hardest breeds to house train, so you may have some wet carpet stains around your home for a while. It’s this parent breed’s stubborn personality that makes it harder to train overall. The sit, stay, and roll over commands will take some time with the Toy Bulldog. Most dogs learn best when there are treats and positive reinforcement involved. If your Toy Bulldog is not trained properly, it could try to be the alpha. The Teacup Bulldog is a complex breed with lots of pros and cons. With its fragile health conditions, this dog cannot be left alone for hours on end. It needs a responsible owner with enough money to take care of any health issues right away. Otherwise, it may suffer. Speaking of spending habits, be prepared to fork over a whopping $4,500 for a Mini Bulldog from a highly credible breeder. These breeders typically focus all their time and energy on raising healthy dogs, so it may be worth it in the long-run. It could save you future vet visits. That being said, you can find cheaper options out there. The average cost is around $1,000 for Mini Bulldogs from adoption centers instead of high-class breeders. 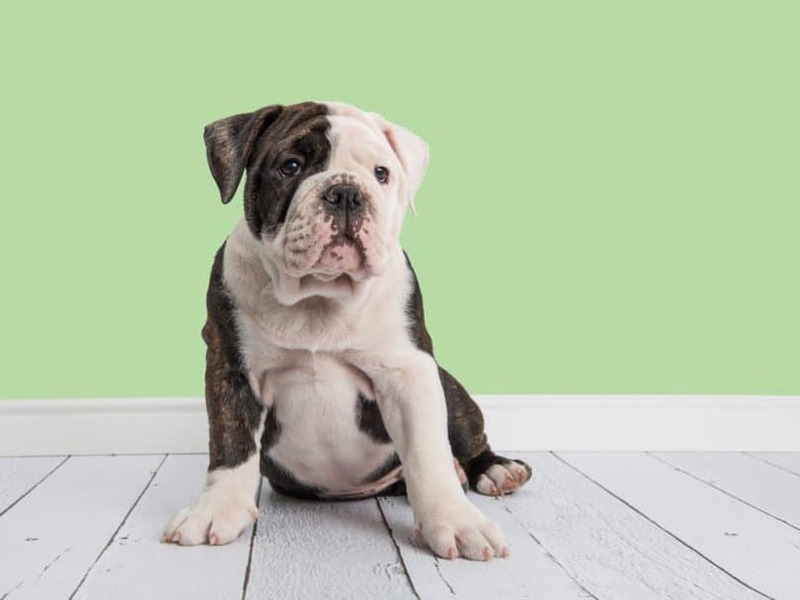 For Teacup Bulldog adoptions, your best chances are at popular sites like Adopt-A-Pet, No Borders Bulldog Rescue, and Bulldog Rescue Network. The Mini Bulldog isn’t for everyone. It has very specific needs that require a specific owner. It’s friendly and affectionate personality can win anybody over in a heartbeat, but when times get tough, are you going to be able to fight through it financially? If you prefer a laid-back lifestyle and have the means to cater to this dog’s weaknesses, then go for it! This breed also does great in family homes. But if you’re looking for a jogging buddy or a guard dog, move along. This is not the pup for you. 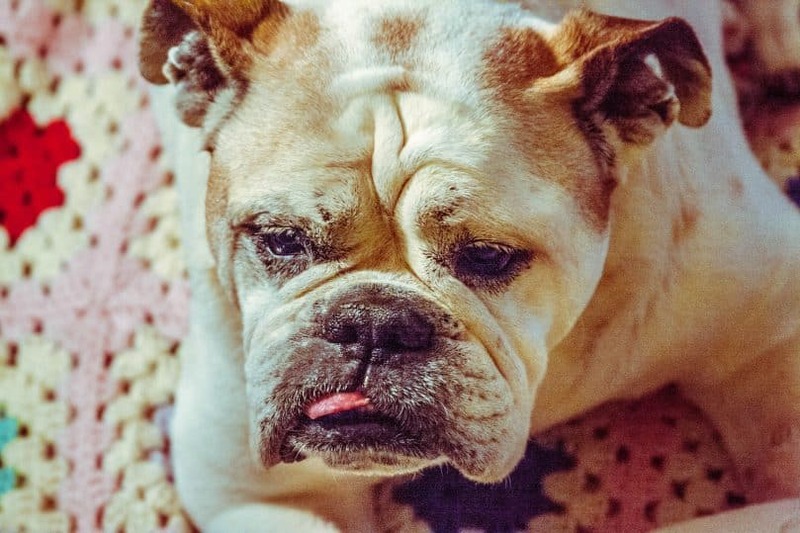 Do you have what it takes to care for a Mini English Bulldog? Comment below!